Next Batch: Due on the 07/05/2019. Delivery to customers within 10 working days of the 7th. Plush light grey velvet fabric cover adds a warm tone to this king-size bed frame. 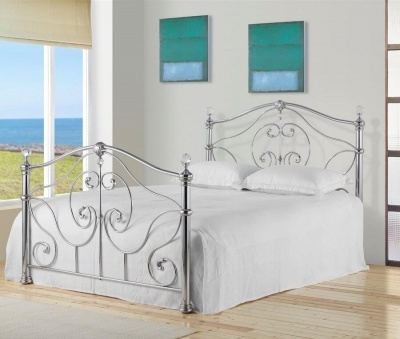 High headboard makes sitting up and reading or watching TV in bed a pleasure. Looks stunning in modern and traditional settings. No need to struggle delivered by a two man delivery service to a room of your choice. If the delivery team believe that damage to the product or premises, or injury to themselves or others, may occur whilst delivering to your chosen room they will leave the goods in a safe and convenient place.